Plush Blanket 4-Pack Just $24.96! Down From $80! Shipped! You are here: Home / Great Deals / Plush Blanket 4-Pack Just $24.96! Down From $80! Shipped! 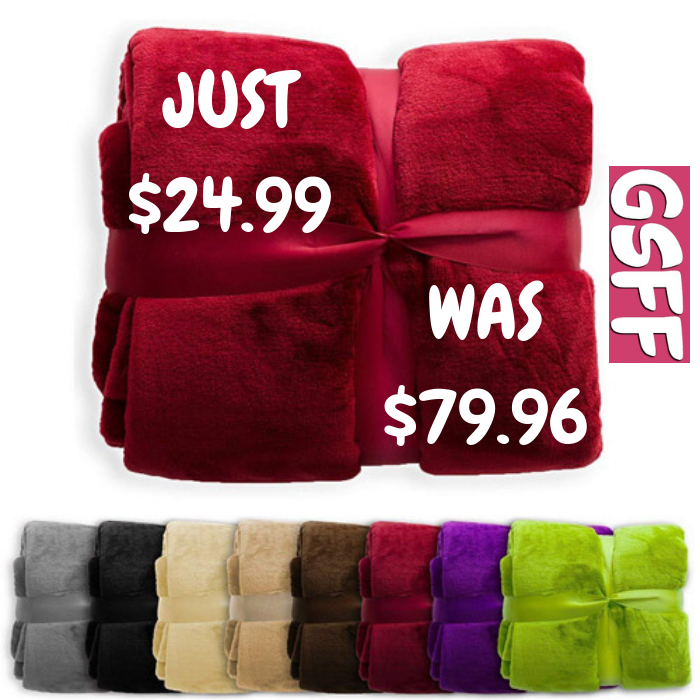 Head over here to score this Plush Blanket 4-Pack for just $24.96 down from $79.96 PLUS FREE shipping! This Coral Fleece Throw Blanket features 100% polyester brushed Coral fleece fibers for optimal softness, warmth, and hassle-free maintenance. The blanket has a 2-sided pile which means you can indulge in the deluxe softness of this micro plush blanket from any side you choose to cuddle with. Colors and patterns are assorted. You will receive one chosen at random. This is great gift idea!